The 2012 Depository Library Council (DLC) Meeting & Federal Depository Library (FDL) Conference, held last week in Arlington, VA, was a historic one! This year marked the 40th anniversary of the Depository Library Council to the Public Printer, the 80th meeting of the Depository Library Council, the 50th anniversary of the establishment of regional depository libraries, and the 20th Federal Depository Library Conference. It was also the first time that participants could participate in some of the sessions virtually, via the iCohere platform. The Judicial Conference of the United States approved the national implementation of a joint program between the Administrative Office of the United States Courts and GPO to provide access to authenticated court opinions for U.S. appellate, district, and bankruptcy courts through FDsys. 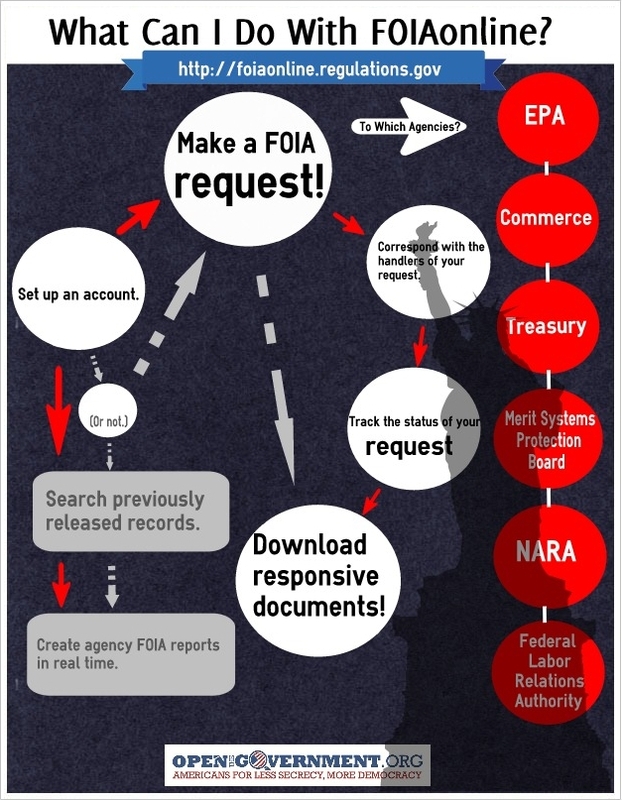 The U.S. Department of Treasury is now making available historical documents within the agency’s library collections through FDsys. This month, GPO released the Treasury Reporting Rates of Exchange: 1956-2005. The digitized Official Register of the United States 1829-1861; 1879-1959 will be added to FDsys by the end of the year. The real highlight of this year’s meeting was the presentation of the preliminary results from the FDLP Forecast Study. Collected over the last year, study questionnaires gathered data on the needs, vision, and environments of both individual depositories and depository regions to inform the strategic direction for the FDLP. Of the 1201 depository libraries, 775 submitted complete forecasts, including an impressive showing from depository law libraries. Thanks to all of you for the time and energy you put into developing your forecasts and state action plans. GPO used the State Focused Action Plans, which were designed to document what states or depository regions have identified in their individual library and state forecasts as important issues, to identify common themes. Themes included training and marketing; program governance, including changes to Title 44; and issues related to preservation, digitization, harvesting, and authentication. The chart below identifies the next steps from the Forecast Study. In Phase 2, GPO will reach out to specific libraries and regions for clarification on their surveys, conduct interviews and focus groups, and incorporate new data into their analysis. 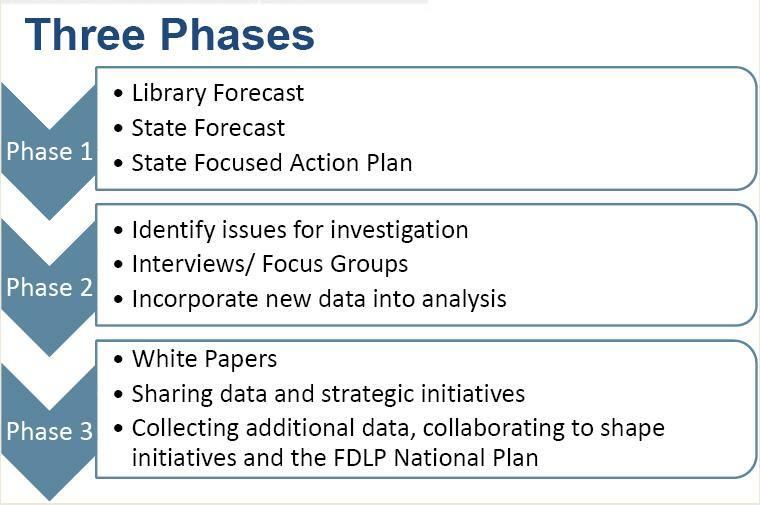 Phase 3 will focus on data sharing and collaboration for a National Action Plan for the FDLP. We expect to see White Papers on issues related to program governance issues and marketing, education and training due out this spring. Program materials from the 2012 DLC Conference and FDL Meeting are available on the FDLP Desktop. As GPO and the library community consider the future of the FDLP, it is important for law librarians to make their voices heard. We encourage you to reach out to the AALL FDLP Task Force, chaired by Sally Holterhoff, to share your ideas and vision for the future. Currently the task force is collecting model language from depository library mission statements and collection development policies. If your library’s policy language reflects your depository status, please consider submitting the language to any member of the task force. The Government Relations Office staff is attending the Depository Library Council Meeting and Federal Depository Library Conference this week in Arlington, VA! In addition to educational sessions offered by government agencies and librarians, the Government Printing Office will be presenting the preliminary results from the FDLP Forecast Study, and you can tune in online. More information is available on the FDLP Desktop, and a transcript will be available after the event. For live coverage, follow us on Twitter at @AALL_GRO and #dlcf12, plus stay tuned to this blog for a conference recap next week! The October issue of the Washington E-Bulletin is now available on AALLNET. Receiving Unordered and Unwanted Materials from Vendors? Tell the FTC! Have You Joined AALL’s Advocacy Team? You are currently browsing the AALL's Washington Blawg blog archives for October, 2012.